﻿ Hotel Plaza Mayor Madrid. JIMAT di Agoda.com! Ada soalan mengenai Hotel Plaza Mayor? 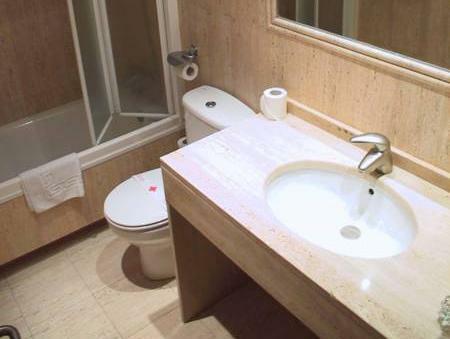 Terletak pada kedudukan yang baik di Pusat Bandar, Hotel Plaza Mayor adalah tempat yang sesuai untuk memulakan lawatan anda di Madrid. Dari sini, tetamu boleh menikmati akses mudah kepada semua yang bandar meriah ini boleh tawarkan. Syurga untuk berehat dan bersantai, hotel ini akan menawarkan pembaharuan penuh hanya beberapa langkah dari pelbagai daya tarikan bandar seperti Istana Santa Cruz, Hammam Medina Mayrit, Turrones Vicens. Di Hotel Plaza Mayor, segala usaha dilakukan untuk membuatkan tetamu berasa selesa. Oleh yang demikian, hotel ini menyediakan perkhidmatan dan kemudahan yang terbaik. Hotel ini menyediakan akses kepada pelbagai perkhidmatan yang luas, termasuklah Wi-Fi percuma semua bilik, meja depan 24 jam, fasiliti tetamu kurang upaya, daftar masuk/daftar keluar ekspres, simpanan bagasi. Tetamu boleh memilih dari 34 bilik, semuanya yang akan memberikan suasana ketenangan dan keharmonian. Di samping itu, pihak hotel menawarkan aktiviti rekreasi untuk memastikan anda mempunyai perkara untuk dilakukan sepanjang penginapan anda. Kemudahan yang hebat dan lokasi yang sangat baik membuatkan Hotel Plaza Mayor menjadi asas yang sempurna untuk menikmati penginapan anda di Madrid. We didnt have a good sleep during our stay. Our room was very hot. We can open the window for cooler breeze coz it was locked. very well located for our tour of Madrid many dining options close by. It was a good choice for us and we would stay there again. The hotel is in an excellent location close to many tourist attractions.I stayed there for a total of three nights.It was very clean and they served a wonderful breakfast but unfortunately that was not included.I stayed in a single room on my last night which was of the same clean standard and I had a lovely view of the square.The receptionist Isabella made my stay very pleasant as she was very helpful,professional and spoke very good English.All the staff were professional and helpful aside from a young lady from Romania who was pretty rude during my first two night stay,however English was not quite as good as Isabella and the other reception staff. She later explained on my checkin on the third day of stay that she was hung over and had not had much sleep!So this is the reason I gave 4 stars instead of 5.However in my view a good reception service is what could take this hotel from a 2 star to a 3 star hotel. The hotel is environmentally friendly so when you check in the card used to get into your room also controls the electricity. I would recommend this hotel to friends it's very nice. 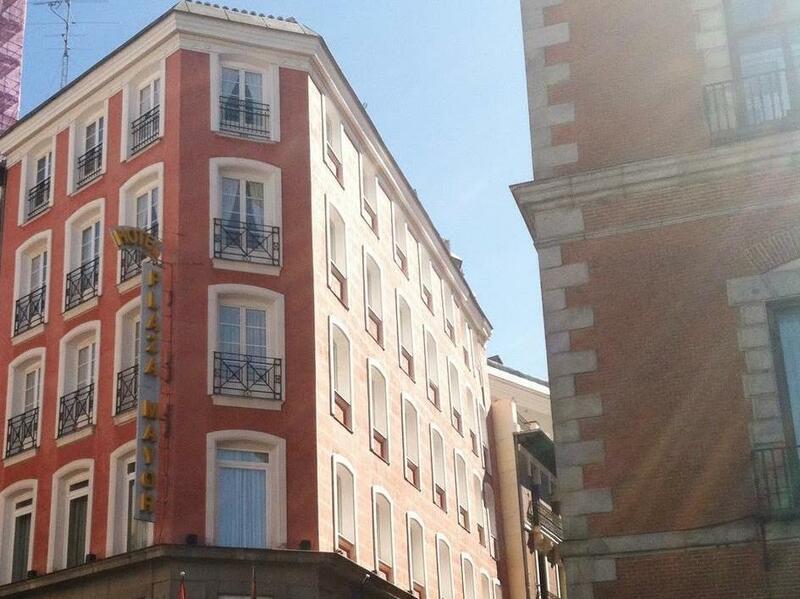 The hotel is just 2 mins walk from plaza mayor. We arrived at about 1230 and they allowed us to check in. The shower gel tank was empty, even for the second day after cleaning. The wifi speed was good. A so-so hotel, where we stayed before a flight back to UK. Nothing horrendous, but also not incredible. The room was a decent size, but had to be reached via lots of twisting stairs and corridors. Good, hot shower and helpful staff. 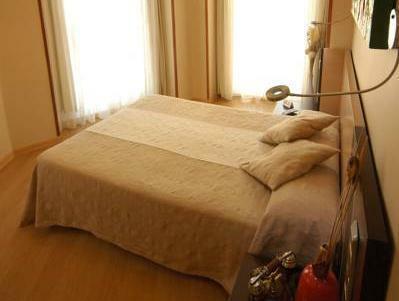 Loaction is near to Plaza Mayor, and near to Metro station (Sol) and easy to visit most of important tourist place. Staff is all kind and good hospitality.Thank you so much , I was really want to visit again . Three days before my check-in at the Hotel Plaza Mayor I tried to change my reservation because I wouldn´t be able to stay for the last night of my booking. I tried to get in touch to hotel management but no one was avaiable to talk to me. I litle bit impolite I guess. Despite all my efforts to warn the hotel management as sooner as I could, they charge me an extra night. So I stayed for one night but I have payed for two nights! It was my first visit to Madrid, Spain. I have no knowledge about the place so I ask around. One of my friend recommended Hotel Plaza Mayor. I searched through Agoda about this hotel and found it was something I was looking for, so I booked the room. When I arrived, the receptionist was very friendly and helpful. I was happy that I chose this hotel. Good choice of restaurants nearby. Metro very close to hotel. Single room quite small but functional. Great view of street life from 5th floor. The location of the hotel is privileged, shops, restaurants, metro station... everything is convenient and at a very reasonable price. The room was clean but very small. Better for solo travelers. The best plus of this hotel is the staff who is very nice and always ready to help. boutique hotel situated in the best location for the tourist. we even saw a royal procession complete with coach and horses, and cavalry assemble right outside the hotel. got pictures of the king and president. plenty of restaurants, shops in the area. excellent selection of hot and cold foods for breakfast and very affordable. we had a superior room so it was a good size room with a double bed which is a little squeezy. the room is bright with 2 windows and look out onto a square which is nice. however, the bathroom is tight and the tub has stains.